Aug. 2, 2016 | LITTLE ROCK — Mark Kenneday, University of Arkansas for Medical Sciences (UAMS) vice chancellor of operations, recently received the Crystal Eagle award from the American Society for Healthcare Engineering. Recognizing his lifetime achievement in health care engineering, the Crystal Eagle was presented July 11 to Kenneday at the society’s 53rd annual Conference and Technical Exhibition in Denver. The society is a membership group of the American Hospital Association. Kenneday, a former president of the society, has contributed to the field in multiple ways. He authored the national “Health Facility Commissioning Guidelines” and has worked for better codes and standards regulating hospitals. Kenneday also has inspired and mentored many facility professionals and has helped promote facility leaders into executive leadership. Kenneday earned a master’s degree in business administration and a bachelor’s degree in civil engineering technology and construction management, both from the University of Houston. 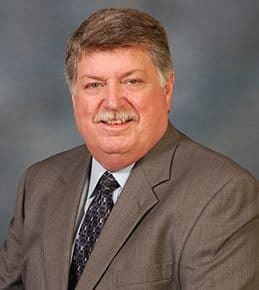 As vice chancellor since 2008, he is responsible for several hundred employees and oversees all campus facilities, engineering, construction, maintenance, housekeeping, police department and occupational safety activities. More than 11,000 members count the American Society of Healthcare Engineering as a key source of professional development, industry information and advocacy, including representation on key issues that affect their work in the physical health care environment.